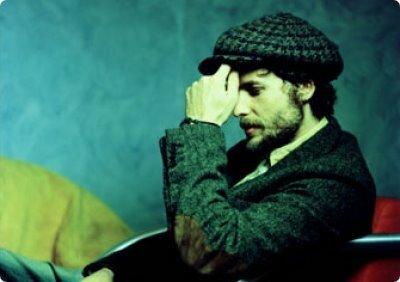 Italian singer/song writer and hip hop artist, Jovanotti looks back on his music career and his contribution to Italian culture. Lorenzo Cherubini aka Jovanotti, is quite possibly the one responsible for popularizing hip hop in the old country of Italy. "If it wasn't me, then it would've been someone else. But I'm really glad it was me." Now 43 years old, Lorenzo remembers when he started about 25 years ago. Starting at the age of 18, he admits not being mature enough to understand his initial road to success. Reflecting back on it now, the artist appreciates all the opportunities he's had as a musician who doesn't necessarily covet a great voice, but often has a very political message, which he talks about in the interview. PBS' Marco Werman interviewed the artist last week at The Stern Grove Festival in San Francisco, (videos after the jump).